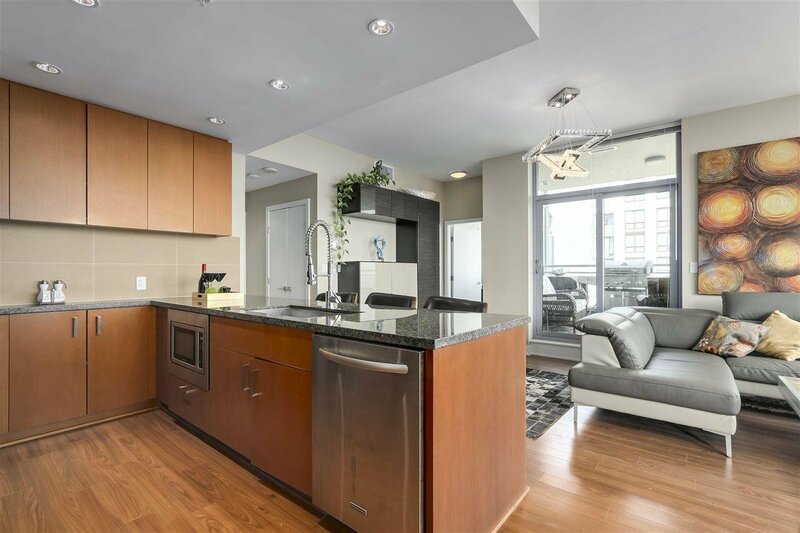 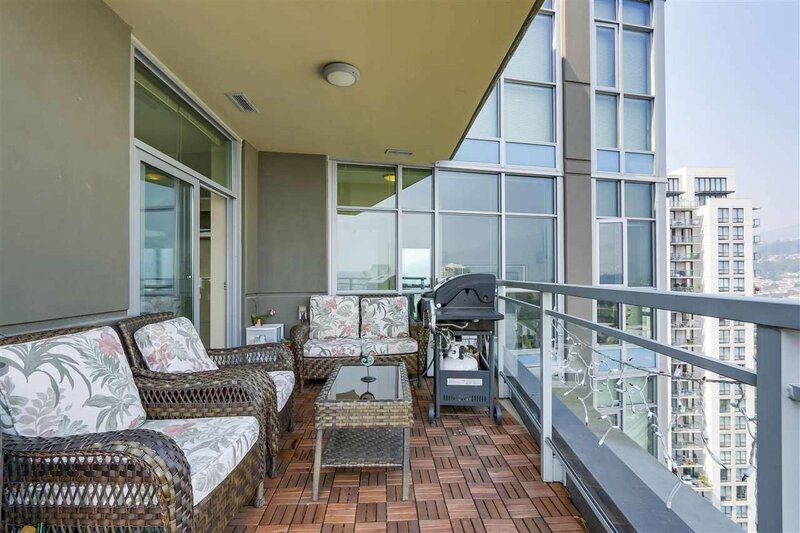 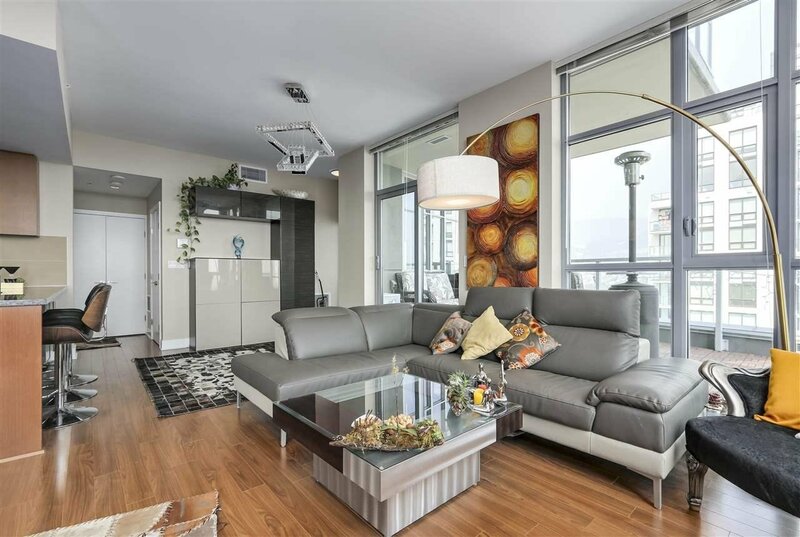 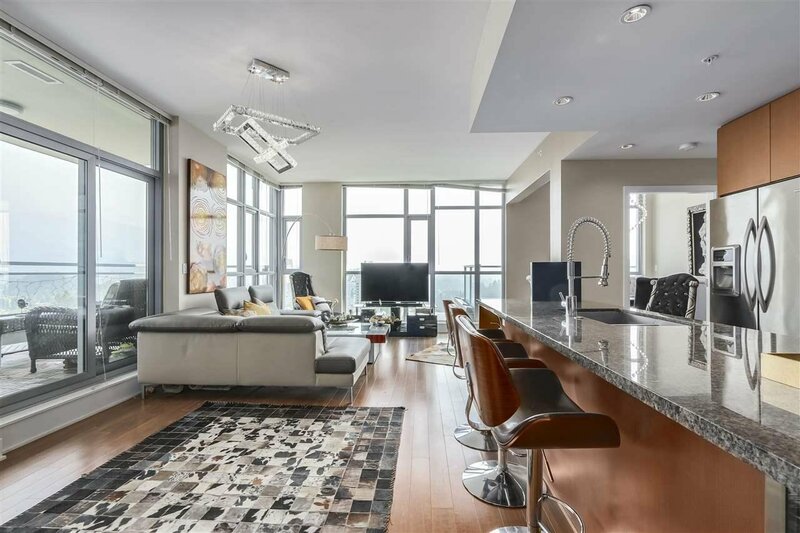 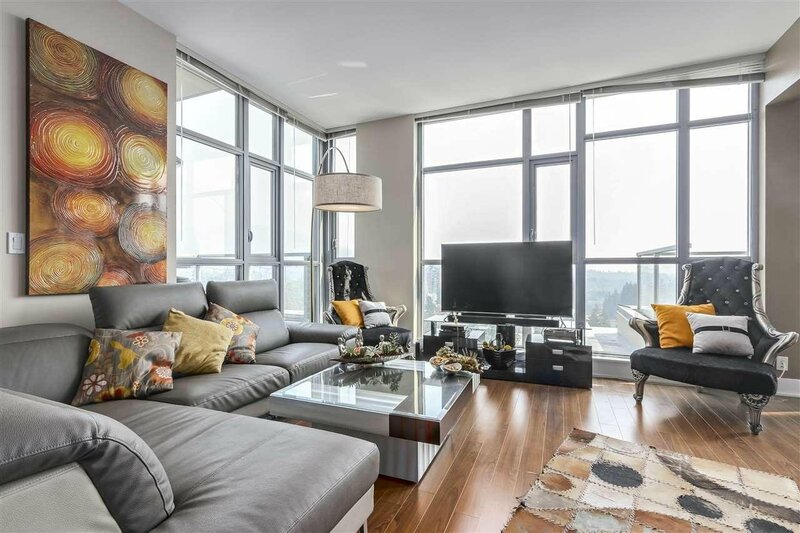 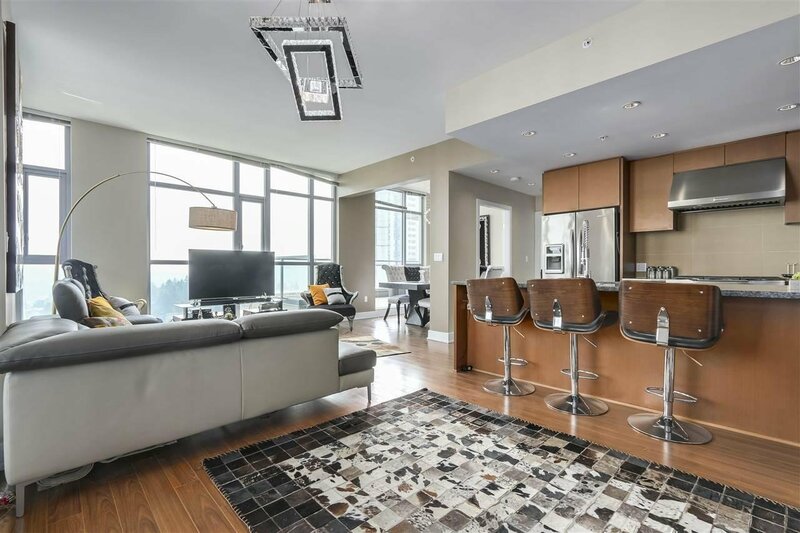 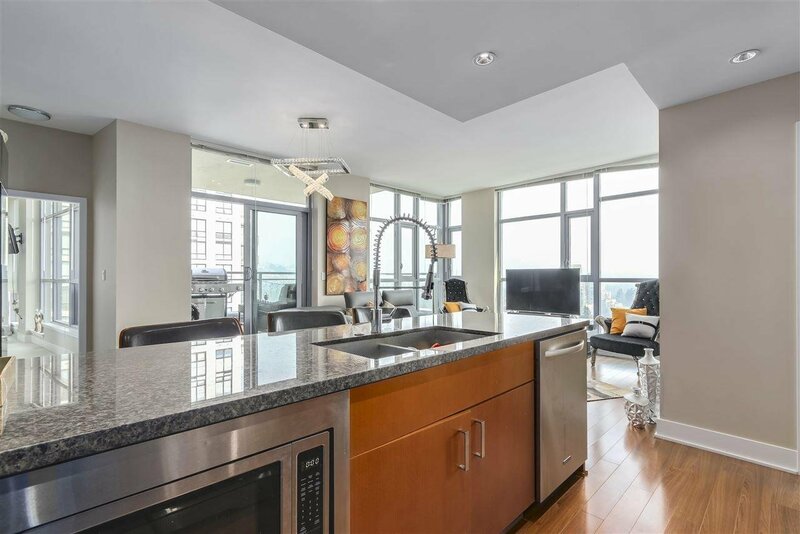 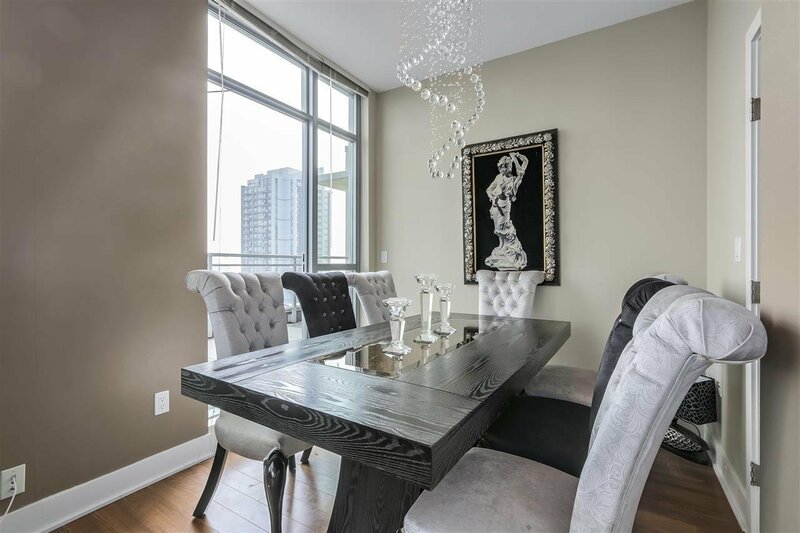 Luxury Sub- penthouse by award wining Cressey on M2. 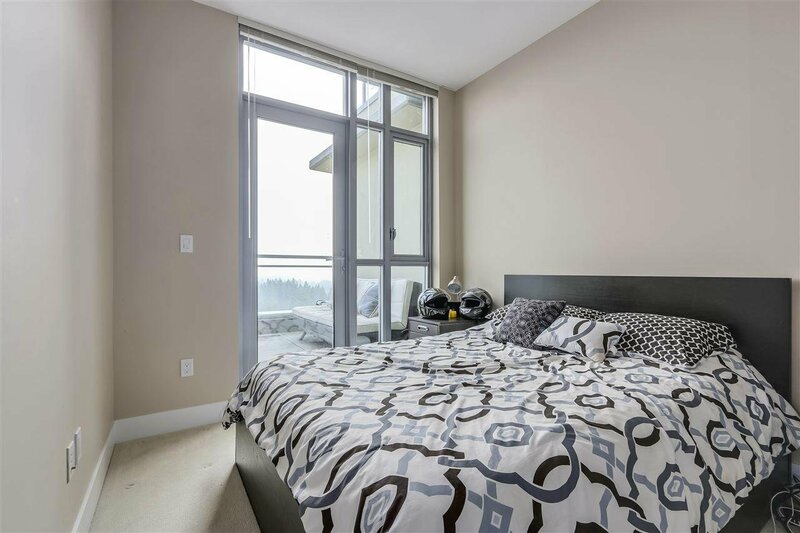 270 degrees breath taking wrap-around view of mountain, City and Lafarage Lake from every corner of your home.Double door entrance opens to a foyer that leads you to large living/dining area.high ceiling throughout the home open kitchen,with high-end KitchenAid appliances, Wine Fridge, heavy duty extra wide gas burning stove, 2 huge patio offers you over 400 sqft outdoor space, with natural gas hook-up for your summer BBQ and water tap. 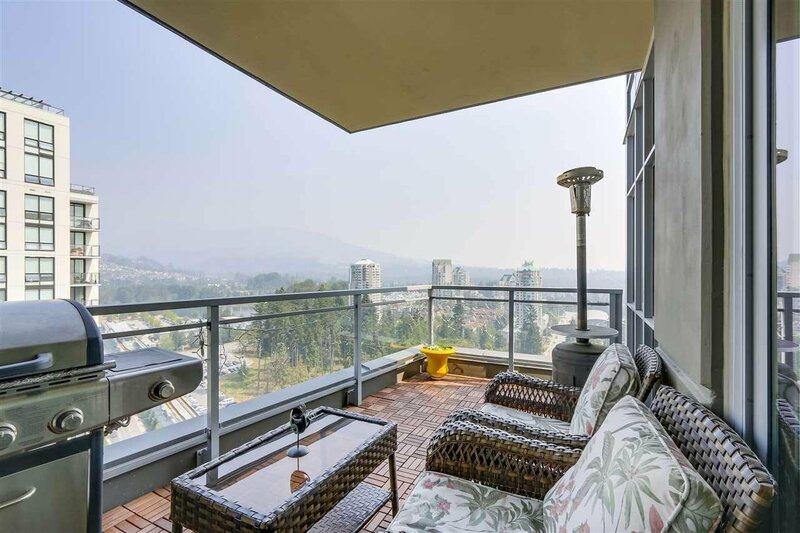 Great space to entertain your guests all year round.2 parking space located in exclusive gated first level parking. 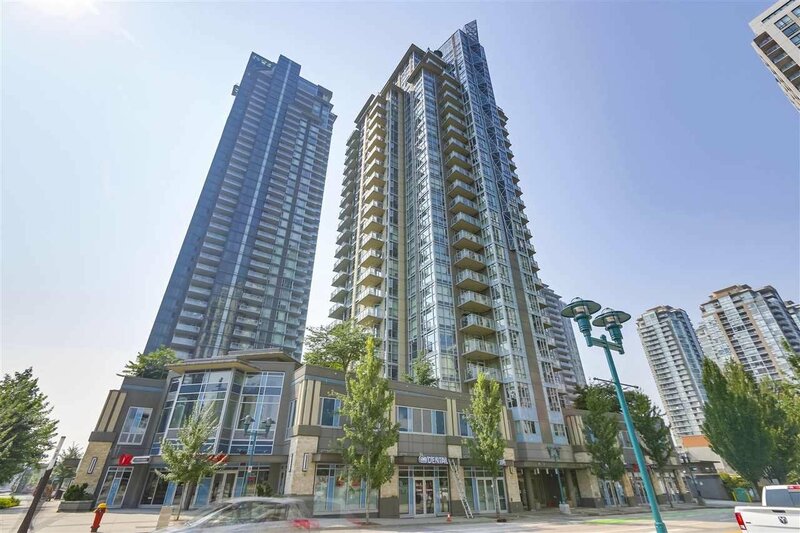 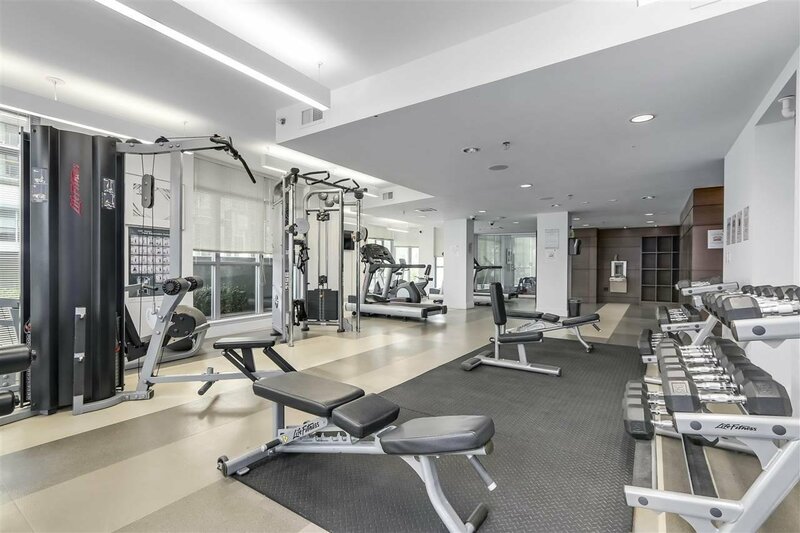 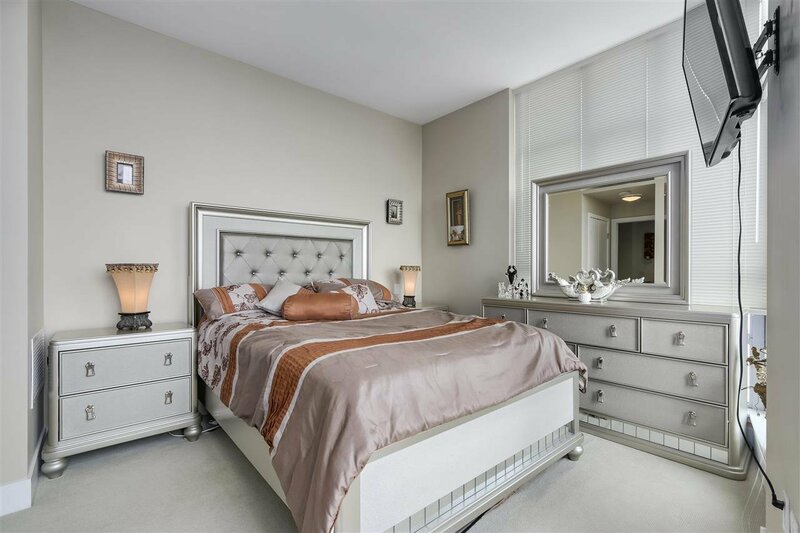 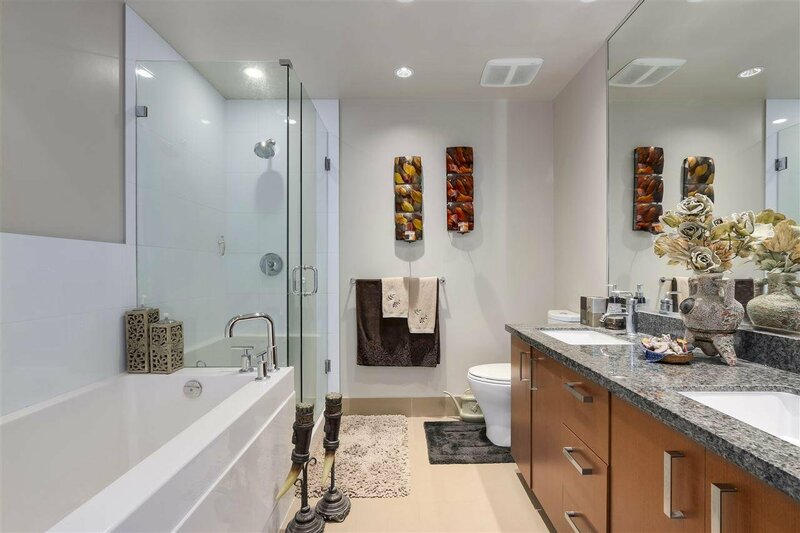 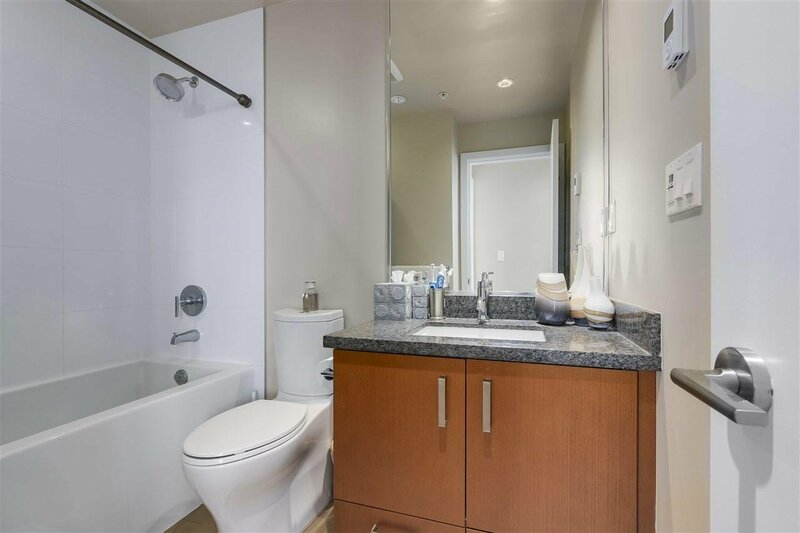 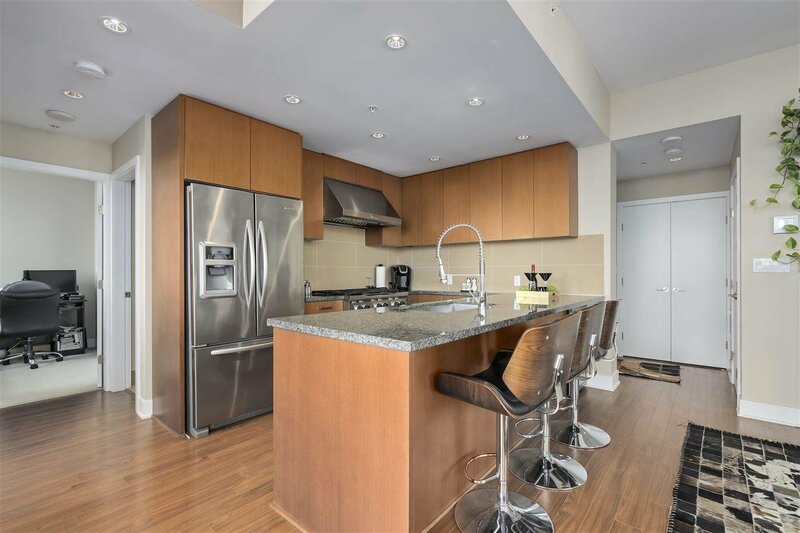 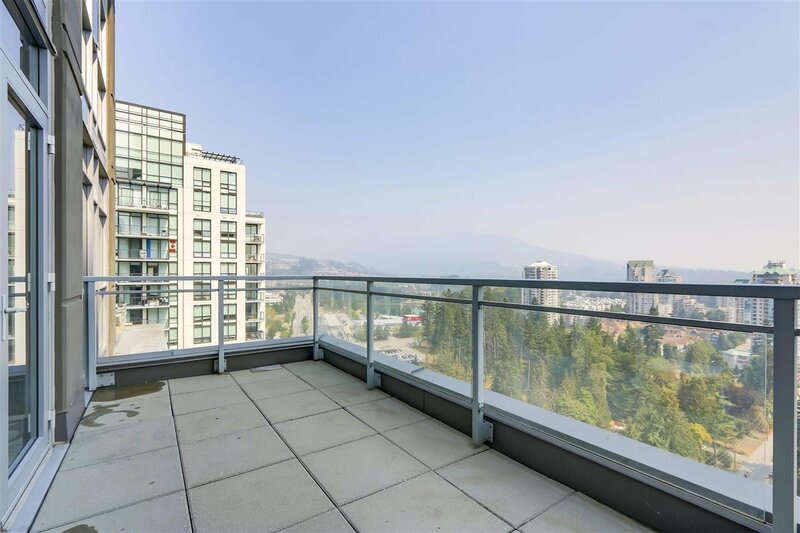 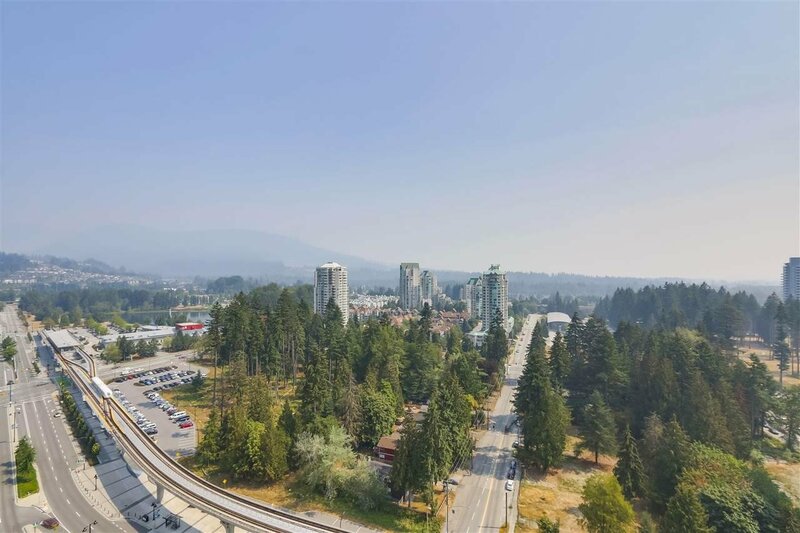 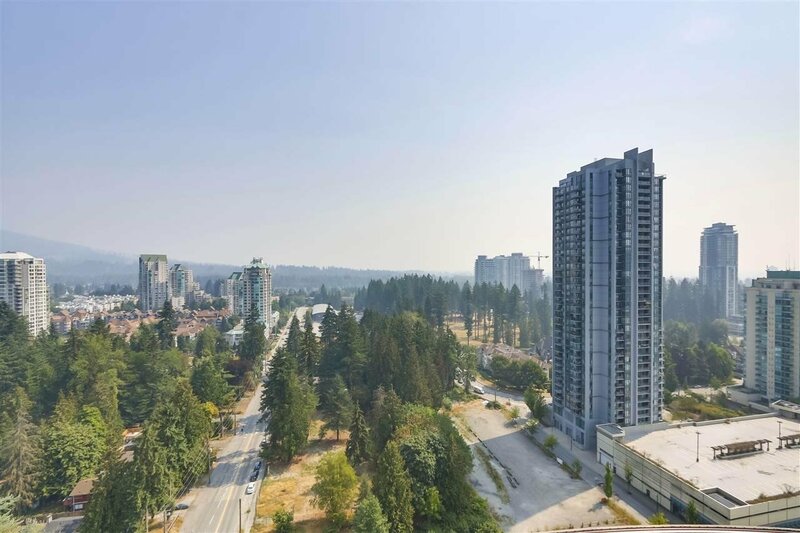 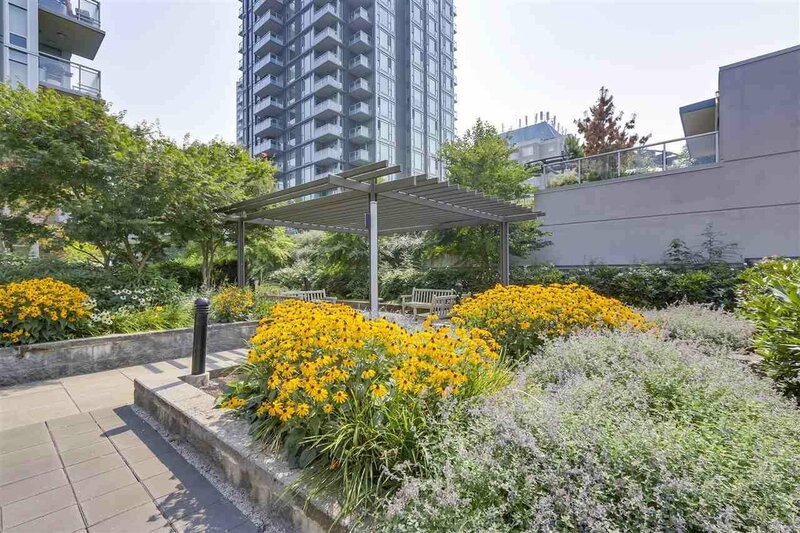 M2 is located just steps from Coquitlam Center Mall,Douglas College,parks,School,Recreation center,library and the Ever green line sky train.Call today for your private viewing.